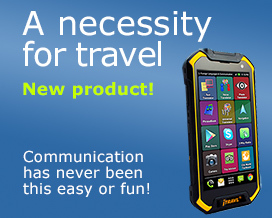 This multilingual translator contains everything you need to travel the world in comfort and style. The extensive database (55,000 words) allows instant translation between French, Russian, German, Spanish, Italian, Finnish, Turkish, Polish, Czech and English. The confidence this will give you in almost any situation is incredible. And when combined with the more than 700 pre-loaded phrases for use in everyday and emergency situations, you'll never be at a loss for words no matter where you are!